What's your vision for your business in 2010? What the mind of man can conceive and believe, it can achieve” Napoleon Hill. It’s amazing, but you get to be the co-creator in what your business and life looks like for the upcoming year. Tonight my husband and I get to celebrate a ritual we started, which I love. A few years back we decided to forgo the late night parties and after a yummy dinner out we come home and light a fire, sip some NY Finger Lakes wine, and create our vision for the new year. We bust out the magazine and talk about what we desire for the new year, both personally and professionally. Then w reflect back on our prior year and celebrate what we are creating. For the next few months the collage hangs over our fireplace as a reminder of being the co-creators in our lives. 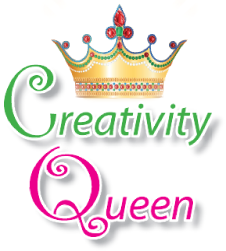 So, I invite you to play and create and share with me what you are choosing to create in 2010! It’s the most wonderful time of the new year, it’s planning time! In the past my business planning had been like my new year’s resolutions. I would make a bunch of benchmarks and set goals, then a few weeks into the new year I would get distracted or lose interest in following the plans I has set up for myself. Needless to say it lead me to trying to maintain business momentum by doing a bunch of different strategies that were not at all what I had planned for. Go figure, but the results were inconsistent too! So with some studying of business systems I found out a few things and thought I would spare you the same problem I’ve encountered. Here’s a simple one that works. Plan out your year (or 3 years) and break it down into bite sized projects, then focus all of your energy on taking the steps to complete the projects. The key to this is not to multi-task or jump from project to project, but to be clear on what needs to be done, when it need to be done, and focus all of your attention on getting it done. It sounds simple, but it will transform your business. I had no idea therapists in business wanted this! WOW! I was blown away at the response to the free call yesterday on the top 5 mistakes therapists make in growing their private practice business. People were calling my office and emailing me to see if they could get a copy of the call after the event. Only those registered for the free event got copies of the recordings. For those of you who want more information on this topic sign up for the free 7 simple steps teleseminar and you’ll receive our BSFT newsletter letting you know what topics we will be sharing in the future. If you missed it, don’t worry. We’ll be doing more calls after the new year on related topics! Want to know the top 5 mistakes therapists make in building their practice? HINT-When you identify these mistakes you’ll be able to help many more people, doing what you love to do! A big mistake all therapist have made, however if you continue to do this you will never grow your business. Click here to register for the FREE class! What it takes to create a successful business: Lessons I learned from my running shoes. A few months ago I decide to get a bit more serious about my exercise regime. The pounds were creeping up slowly and although I would head to the gym on occasion, I wasn’t really consistent. I preferred to spend time outdoors. So I decide to ditch the gym membership and buy myself a pair of really squishy, super supportive, running shoes. Here are some things you need to know. I am not a runner, I do not have a runner’s build, I despise running, and I live in FL where it’s 82 degrees outside today (December) and more humid than a steam bath. Yes, that’s right, I have a whole list of excuses. Next, I decided to be accountable, so I tell others of my new goals. I tell only those who are supportive and although I see a few people smirk at the thought of me running, I feel more committed because others are now aware of my intentions. Then I do the most important work to get me to show up again and again, especially when I didn’t want to- my mindset. I needed to work on re-framing what I was doing to fit my larger goals. At first I referred to running as “hurling”. I’d tell my husband, “I’m going to hurl myself around the park”. Guess what, that’s exactly what it felt like. It sucked. So I decided to shift my thinking. Now I choose to go “gliding” around the park. I take my dog, so we get to spend time together, and I run in my favorite outdoor spot, so I can remind myself how pretty it is when it’s 80 degrees outside. I also talk to myself the whole time. I congratulate myself for being committed and following through. I tell myself that little actions towards my bigger goals get me closer to where I want to be. I go, even when I don’t want to, because I have chosen to make a commitment to myself. So using these same principles, you can easily breakdown the business goals you want to achieve into smaller steps. What are your goals and what motivates you to achieve them? What actions are you going to take on a consistent basis? What do you need to invest in to achieve these goals? How will you be supported and held accountable? What do you need to shift in your mindset to help you re-frame your choices so you can accomplish your goals? So I keep showing up, willing to take the actions necessary to get me closer to my goals. I am happy to report I have lost 3 lbs (amazing during the holidays), I’m feeling more fit, and my dog and I keep gliding about the park. Well I admit it, there are many things I have done in my business that I wish I could wave my magic wand and go back and re-do! So rather than moaning about my losses and experiences, I have chosen to dissect and truly understand the root of my choices. What was it that influenced my decisions (or lack there of). Fear is not a what you should be operating under the influence of when you are making decisions, yet so many of us do so. Fear’s job is to keep you where you are at, because change and the unknown is so scary. Here’s the interesting part- we know we are ready to grow and make a change when it becomes uncomfortable to stay where we are at, yet fear offers up all sorts of excuses to keep you right where you are. Anais Nin’s quote captures this beautifully, “And the day came when the risk to remain tight in a bud was more painful than the risk it took to blossom”. In this place of internal struggle you will always be longing for something more, but creating false beliefs to keep you stuck exactly where you are. It feels terrible, yet so many people do this. How to they squelch back their desire to grow more into their potential? Yup, we make all sort of excuses at to why we cannot make the changes we want to make. Whether it’s money, time, lack of resources, knowledge, all the excuses made keep us right where we are, and although it may be uncomfortable, it’s familiar. I find excuses pop up into my life when I am taking actions towards exposing myself to more people. Those gremlins pop up that encourage me to play it small and stay safe. they use the excuse of “what will others think, who do I think I am, what if I fail, what if it works-then what, I don’t have the time, it doesn’t feel right, I can’t commit, I don’t have the experience, I don’t have the money, etc”. Yes, all those thoughts pop up when I step forward into something bigger. So I acknowledge these thoughts and feelings and continue to action. I find that when I am scared I do the push-me-pull-you (remember that creature from Dr. Dolittle). It was a two headed llama, with a head on each end, so it never really went anywhere. I find I take a step forward, then step backwards, getting me no where. However, the times I have made BIG bold changes is when I leaped forward and did whatever it took to make it happen- with no excuses! When I make a decision and commit to it amazing things always happen- I bet you have had a similar experience? If you are ready to take a no excuses approach to your business, then there is still time to join the “Fill My Practice NOW System” – 6 Week Tele-Class. In addition to the exact techniques that have worked for me, the System includes everything you need to know to prioritize what to work on first, and set up simple, solid systems to consistently draw clients to you. It’s all step-by-step, so we will cover step one of the system, then move on to step two, and so on. That’s why you will get such great results from it. All the “how to do it” tools are given to you, so you know what to do and in what order.Don’t worry if you missed the 1st call- we will send you the link and you can listen to it at any time. So easy- REGISTER NOW at “Fill My Practice NOW System” – 6 Week Tele-Class Click Here! How does your beliefs impact your business? Every day we have an opportunity to create new experience and opportunities in our lives. It’s a matter of being clear and making consistent choices towards what it is you desire. However, our thoughts play a big part in what we believe we can (and can’t) achieve. So what limiting beliefs are keeping you stuck and playing smaller? It is hard to see our own patterns, yet they show up all around us. If you are looking for signs to see what your beliefs are look at your relationships, look at your bank account, look at your emotional well-being, look at your physical appearance, look at your spiritual practices, these all reflect back exactly what you believe (or don’t believe). I have a quote hanging in my office that reminds me of this, “How I do anything is how I do everything”. I reflect on this and remember I am in control of my choices and my beliefs. How to get presentations so you get more clients! I am heading out the door to do a presentation this morning for a very influential program in town, sure to land me many new clients. The funny thing is that I kept trying to get in the door to present to this very well connected program, but I was having a really hard time. I learned a very simple strategy that has opened the doors on how to land speaking opportunities with the ideal clients you desire to work with. The funny thing is that it is so simple and it works. Not only am I getting local and national presentation opportunities, I’m being sought out as an expert (which means I can charge what I’m worth and get it)! So if you are ready to learn the exact steps to creating more opportunities to position yourself as the expert, and help many more clients, sign up for the tele-class that starts tomorrow. The 6-week “Fill My Practice NOW” tele-class will teach you the exact steps to help you identify your ideal client, then create systems so you can consistently be drawing those clients to you. You may be worried is it for me? If you are ready to help more people in 2010 and make more money-then “yes”, this program is for you. You may be worried that is a bunch of overwhelming information. The truth is the information works, but is quite simple to implement. You may be booked up for the holidays. Here’s the scoop, you’ll get the links to the recordings and you can listen to them at any time. I am looking forward to seeing you on the call and helping you create a remarkable 2010. What you need to know to make 2010 your best business year ever! Sorry, this one is going to be pretty simple, yet some of the most profound things you can do to create a successful therapy business. Not only with who you work with and what benefits you offer, but what goals you aspire to achieve in your business. This means setting goals for yourself that reflect where you want to be. This includes the vision of how many clients you want to see weekly, what types of programs and services you offer, how much you get paid, how much you make a week, month, year, what you ideal work day looks like, etc. Here’s a tip that works- set up a board in your office for the next six months with the number of clients you desire to see each month. Take empty file folders and fill them with the intake paperwork of the number of new clients you plan to see this month. When you do this, in addition to the specific client attraction strategies I teach in the “Fill My Practice NOW program”, you’ll see the folders fill up! What you see is possible for yourself is only a fraction of what is possible when you work with someone who can see the bigger possibilities. Think about how our clients can only see their perspective of the problem, yet in therapy we allow them the opportunity to see the bigger picture by hold a healing vision for them of what is possible. In your business you can only see what you believe is possible, yet when you work with a mentor you can see the bigger vision, and believe me, it is MUCH BIGGER than you can imagine! Yup, consistent steps will lead you in the direction of goals but sometimes we don’t know what to do first because it’s new territory. Here’s a simple strategy that works: look at the goals you created and start to break them down into little steps in that direction. Remember when you take the steps make sure they are getting you closer to working with clients and not wasting your time with busy work. I feel this is the biggest obstacle with therapists and healers who desire to create business success. We have invested a tremendous amount of time and money in education and will take a CEU course when struggling to get clients, believing more education=more clients. I’ve been there, and I’m sad to say that will not get your business to where you want it to be. Investing in learning HOW to grow your business will. So this is a great question to ask yourself when choosing to sign up for a program to help your business, “What do I need to get out of this to make it worth my investment”? I hope you’ll take these strategies and begin to plan for a remarkable 2010. If you are ready to take action join our “Fill My Practice NOW System” – 6 Week Tele-Class. In addition to the exact techniques that have worked for me, the System includes everything you need to know to prioritize what to work on first, and set up simple, solid systems to consistently draw clients to you. It’s all step-by-step, so we will cover step one of the system, then move on to step two, and so on. That’s why you will get such great results from it. All the “how to do it” tools are given to you, so you know what to do and in what order. So easy- REGISTER NOW at“Fill My Practice NOW System” – 6 Week Tele-Class Click Here! Tags: Make 2010 your best business year ever!